Overlooking Hackney Downs, the Nightingale regeneration will see derelict land on the estate transformed with high-quality new Council homes - in addition to the more than 300 homes already built by housing association Southern Housing Trust and nearly 400 more refurbished existing Council homes. The original Nightingale Estate contained 6 1960's tower blocks, of which 5 were demolished in the late 1990s and early 2000s having fallen into disrepair. Following the homes already built, there remains large sections of cleared land on the estate which, alongside the redevelopment of some community buildings, provide the opportunity to build much needed new council homes. The social rent homes will be allocated directly to families already living on the Nightingale Estate, with the remainder going to those on the housing waiting list. 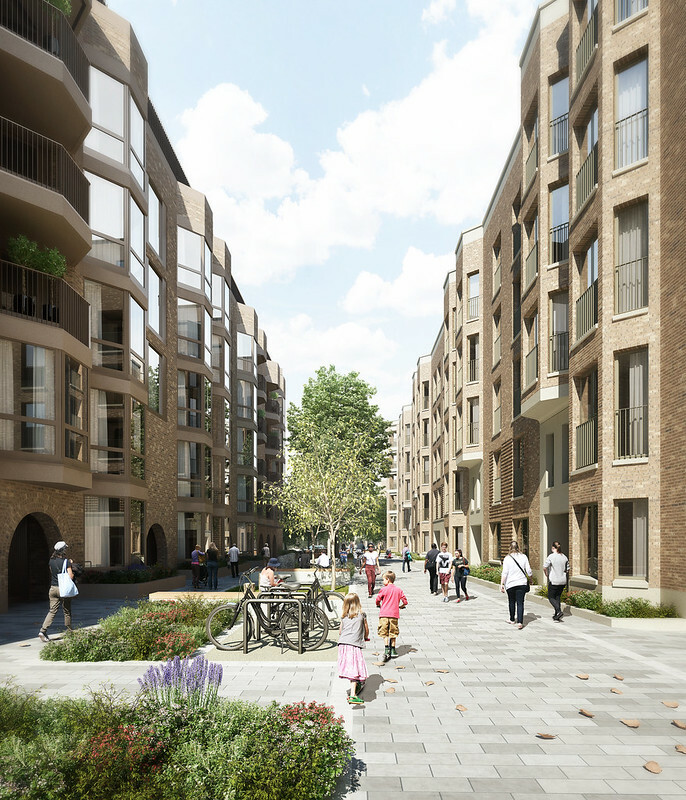 As well as new homes, the regeneration will include improvements to public spaces across the estate, with new trees, lighting and playgrounds, as well as a new community centre, café and retail space. Local residents spent more than 2 years contributing to the design of the new homes and public spaces, led by award-winning practice Karakusevic Carson Architects, together with Henley Halebrown Architects, Stephen Taylor Architects and Townshend Landscape Architects. Demolition of the existing buildings on the site began in 2018 in preparation of construction beginning in the near future. The first new homes are due to be completed by 2022.